Cold War Composer – ACRONYM Inc.
Vyacheslav was 16 at the onset of WWII, when he immediately joined and fought for the Red Army, and was decorated for his service, twice: the Order of the Red Star and the “For Courage” Medals. Growing up on a soviet farm, he was happy to serve his country, and came out of the war a few years older & wiser, a well respected member of his community. Using skills he picked up in the military, he became a radio and electronics repairman back home, where he would tinker and futz with the equipment he would pick up in his town, and help everyone make sure they could tune in to the Farm Report. Vyacheslav had an interest in compositional music and modern composers, but western pop and dance music began to catch his interest, in spite of his dedication to his home country. This eventually led to him getting a job as an engineer for the music department of the State Radio in early 1957. He would help with the equipment, record music for broadcast with the gear and performers available, and create the radio ecosystem that the Russian people would experience through his work. Their budget was huge in spite of their non-existent “pay,” but his studio was top of the line, with new electronic keyboards and gear that would put American studios to shame. 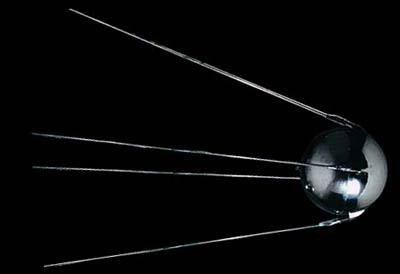 Vyacheslav loved his new job, but it wasn’t until 4 October 1957, when he became obsessed with the radio reports about Sputnik (the first satellite launched into space) that inspiration struck. Vyacheslav began to see things in a very new way, understanding that the modern man would live in a world with technology & leisure. Somewhere in all of this, music – Vyacheslav’s music – would have to evolve with the man who was listening. 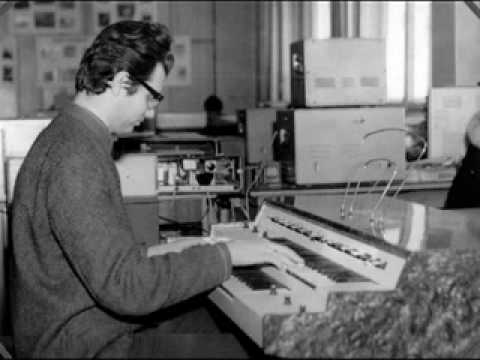 The Orchestra of Electronic Instruments, largely using MOOG-like keyboard and theremins, was largely Vyacheslav himself, with occasional studio engineers helping out with his compositions. 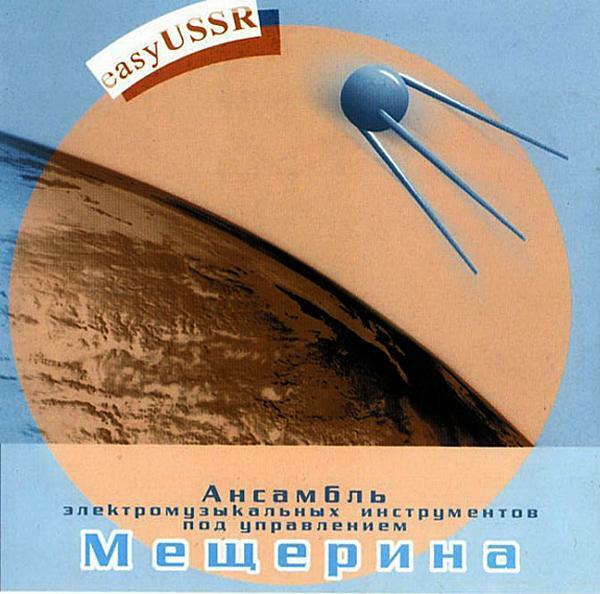 With an ear for turning a well known folk or western hit into a space-age lounge performance that was unlike anything in the USSR, Vyacheslav began to score the radio that was heard around the USSR. From the onset it was not well regarded. While the state was not apposed to the music he made outright – and more pointedly was never in any danger of being asked to stop performing his “clothes irons” playing classical in public – the reviews were not kind up front. It wasn’t even the idea that Vyacheslav was performing western music; rock & roll had caught on in the USSR as it had anywhere else in the world, and there were already state-sanctioned acts performing all over the country. But on the whole no one believed, in 1958, that electronic music was anything more than a goof, or a novelty, if anything. It worked well for these “space” reports, but not for the average citizen. These synthesizers couldn’t possibly do anything more than a cute parody of what real instruments could provide. 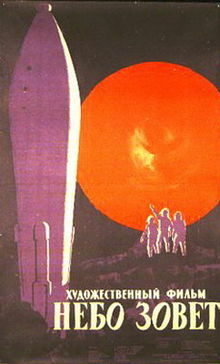 The following year, Vyacheslav recorded the soundtrack for the russian sci-fi classic, Nebo Zovyot. The success of that film led to him recording more electronic music outside of the work he did for radio, and the response was positive to those releases, too. Over the next 10 years the music began to catch on all over the USSR. Yuri Gagarin was said to have considered him his favorite artist. 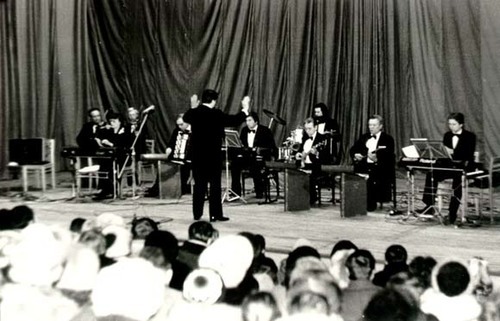 Vyacheslav’s music went into the national archive, and was used by any number of broadcasters throughout his career. The makers of the Russian Television used many of his songs in their shows, and made his songs favorites of kids and adults everywhere. Vyacheslav was given the title of “The People’s Artist”, and recorded over 700 songs in the 30+ years of his career. When he retired in 1990, the music of Russian radio and television was of a much lower quality afterward. For many, entertainment in the USSR was very obviously pre and post Vyacheslav. It’s no wonder that the following year the Soviet Union disolved. Vyacheslav’s music was holding it together. 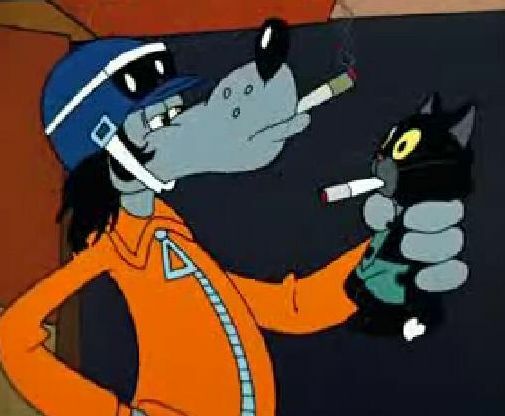 “No Kolhoznoi Ptitsaferme” was the theme music to the very popular series “Rabbit and Wolf,” (“Nu, Pogodi!”) which ran from the late ’60’s through the ’70’s, and it’s likely most Russian citizens could hum the tune if you asked them. This song is fairly emblematic of the sound Vyacheslav mastered in his career. His rendition of “Pop Corn” was a huge hit, and his insistence on using all electronic gear to compose pre-figured the current climate of recording music using GarageBand. More importantly, it is embarrassing how unknown he is in the west, as he is not only the most well known early pioneer of electronic music in Russia, but is very well known by most artists outside of the US. He was performing and composing in 1958 in ways that our western counterparts didn’t master until the ’70’s, and yet the Cold War has forever relegated his work to the “world music” section of most music fans collection. There is a fantastic two disc set – Easy USSR – that attempts to rectify this error, but the substantial body of his work is unknown to people outside of Russian Radio nerds, and is almost inaccessible in the US. Hopefully I will live to see the day when we can hear his work mentioned along with Bruce Haack and Silver Apples. Given the Cold War undertones in Chickenman (however muted they might be), I liked the juxtaposition (and perfect complement) these two pieces of art have when played together.